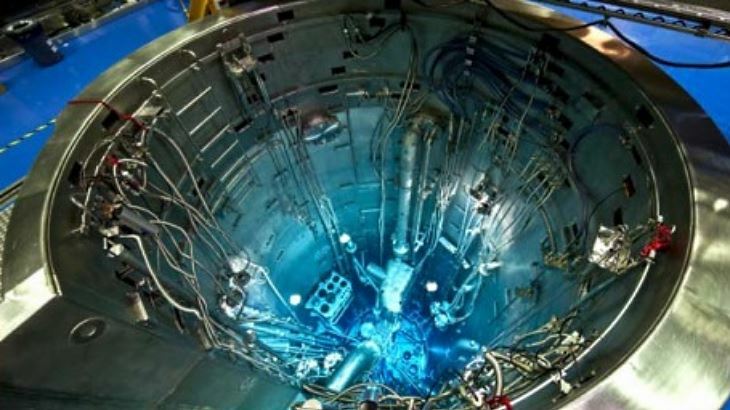 A mechanical failure that caused the suspension of Australian manufacture of technetium-99m (Tc-99m) generators has been addressed, but resumption of production is still some weeks away, the Australian Nuclear Science and Technology Organisation (ANSTO) said on 20 July. ANSTO is continuing to import generators of the medical isotope from the USA. Tc-99m is the most commonly used nuclear medicine, and is produced by the decay of the parent isotope, molybdenum-99 (Mo-99). Both Tc-99m, and the Mo-99 used to produce it inside a Tc-99m generator, are very short-lived so a reliable and steady supply is needed. ANSTO produces the Mo-99 and places it in Tc-99m generators to provide 10,000 doses per week for Australian patients, as well as providing generators to hospitals and nuclear medicine practices in New Zealand and Asia. However, the organisation temporarily suspended production of Tc-99m generators on 22 June, after a mechanical fault with a piece of equipment called a transfer conveyer. That breakdown has now been fixed, but compliance checks to restart the facility will take some weeks, ANSTO said on 20 July. The organisation has been importing Tc-99m generators from the USA while its own production has been suspended. Operations at ANSTO's OPAL reactor and the production of other radioisotopes have not been affected by the suspension. "ANSTO apologises for the impact this has had, and it is a priority for our organisation to resume local manufacture and distribution of nuclear medicine as soon as possible," the organisation said. Once the conveyor belt breakdown is fully resolved, the organisation will also undertake a comprehensive mechanical review of the Mo-99 processing and distribution facility. ANSTO also said it is finalising the appointment of an external team to conduct an independent third party review and report on best workplace health and safety practice at the facility, in response to a directive from the Australian Radiation Protection and Nuclear Safety Authority (ARPANSA). The regulator earlier this month directed ANSTO take "immediate steps" to initiate an independent review of its approach to occupational radiation safety of processes and operational procedures at its ANSTO Health nuclear medicine facility, in particular those associated with quality control of Mo-99 samples. The directive was issued following four separate events with safety implications between August 2017 and June 2018, which the regulator said "indicate ongoing safety issues at ANSTO Health". ANSTO said it has already taken many steps to improve safety in the processing and distribution facility, including improvements to procedures and instructions, training, the physical equipment, event reporting and the safety culture. It said the appointment of the review team was part of continuous improvement. "The joint objective here is to identify what more we can do to make the Mo-99 processing and distribution facility operate better from a mechanical perspective, and also raise the standard of safety performance," an ANSTO spokesperson said. "ANSTO has a history of working transparently with the independent nuclear regulator, and will keep ARPANSA readily informed of the independent review’s progress and outcomes, as well as the next steps."